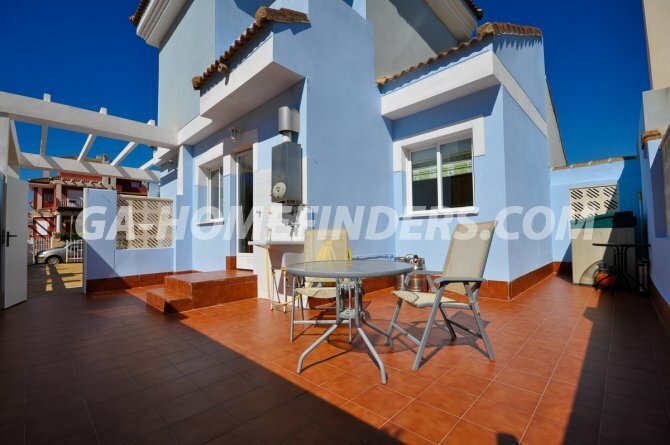 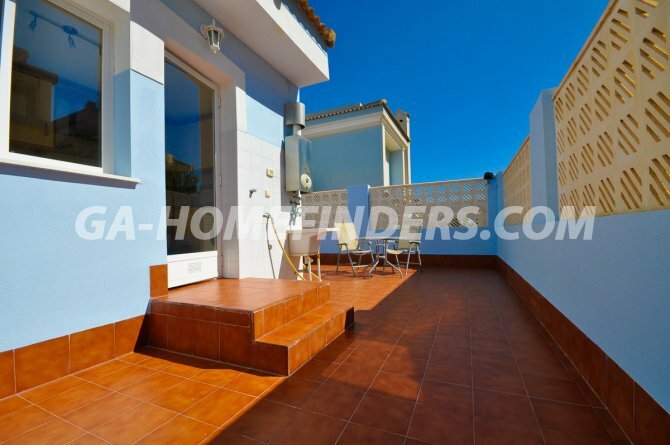 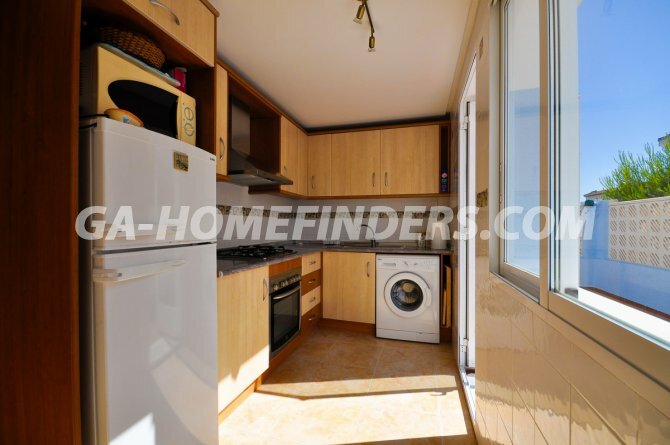 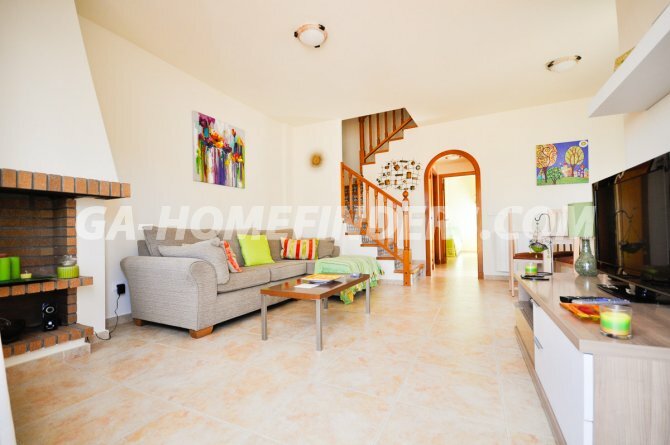 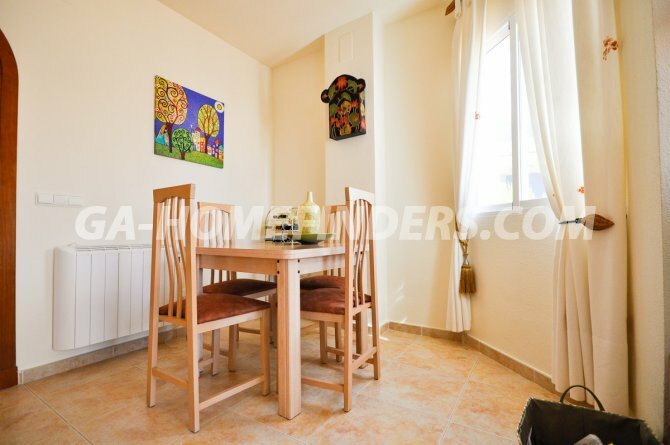 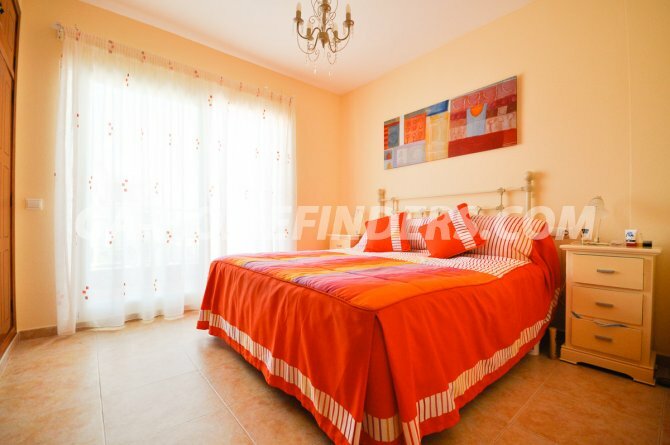 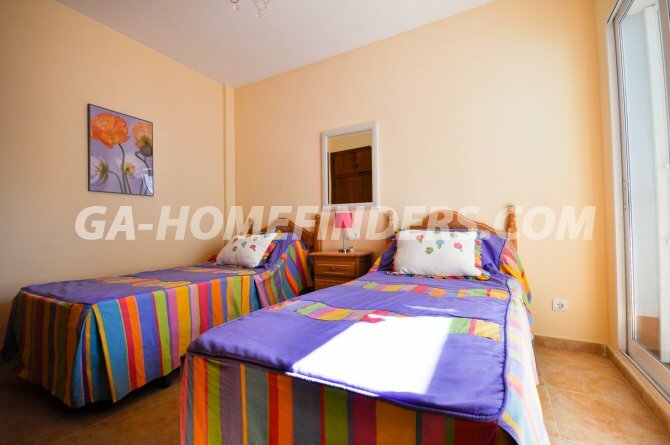 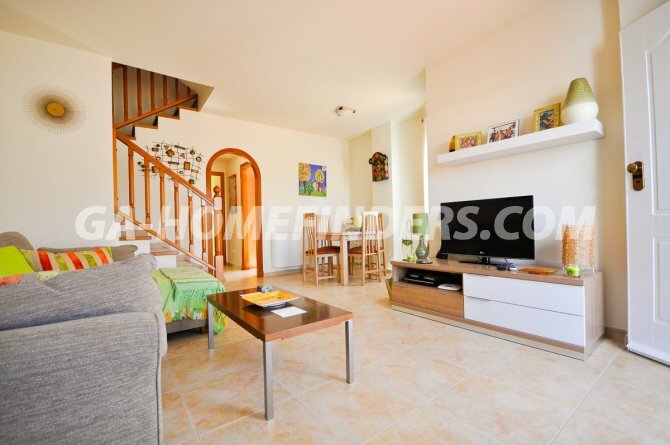 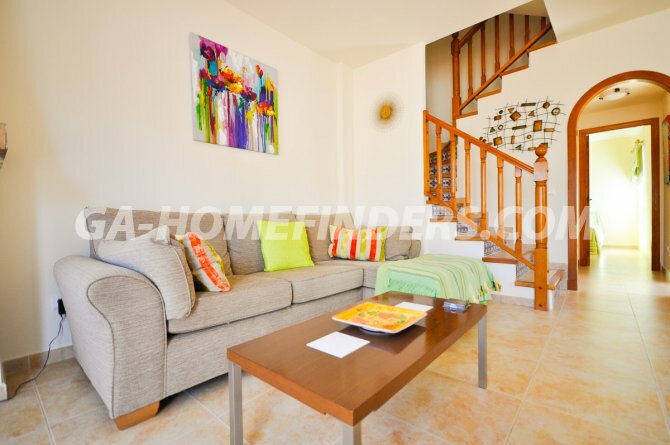 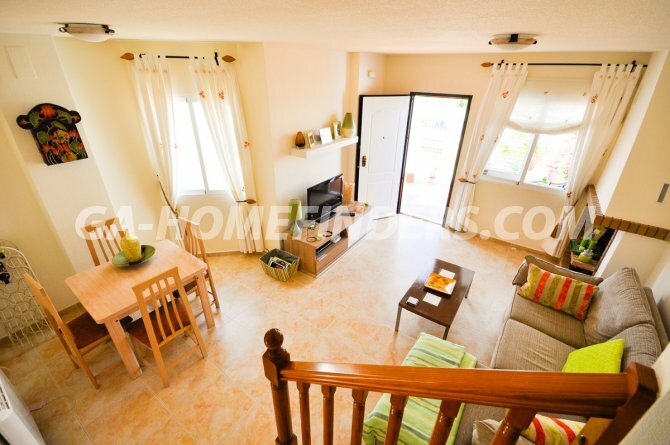 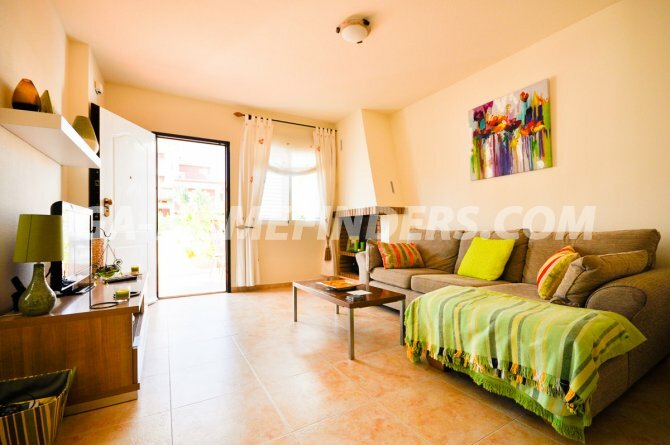 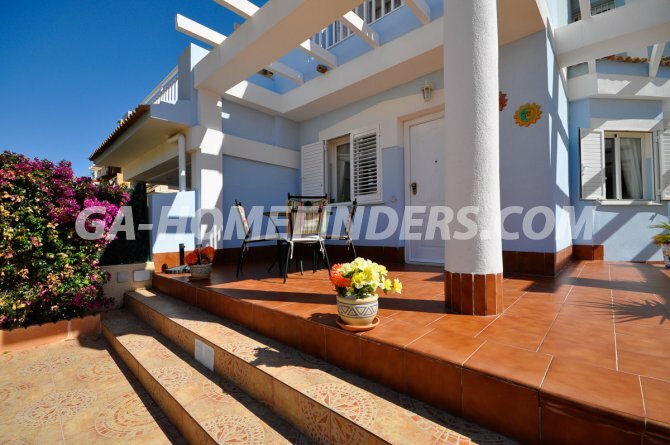 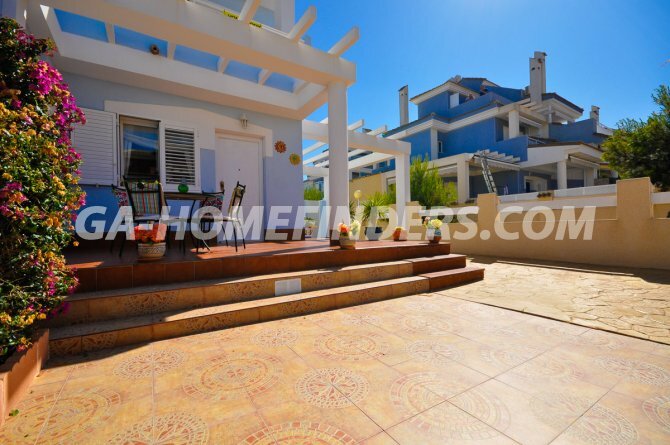 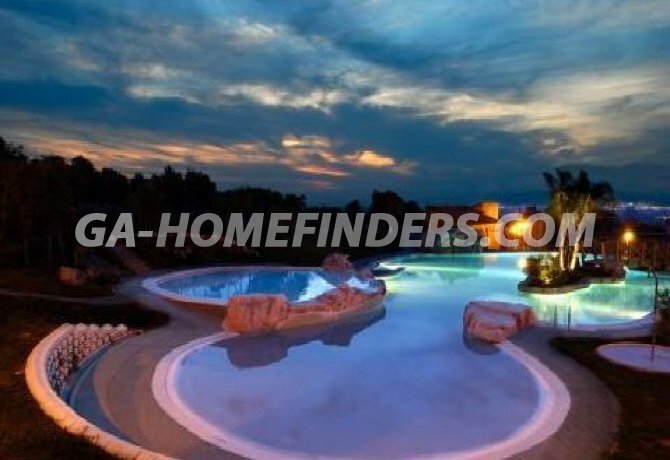 Semi detached villa with 3 bedrooms and 2 bathrooms, completely furnished and with kitchen appliances, 3 good size family bedrooms, good size independent kitchen, fire place, electric heaters, very bright and sunny house, south facing. 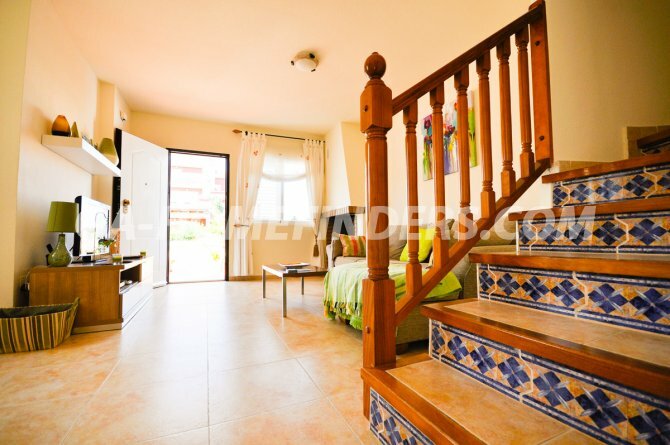 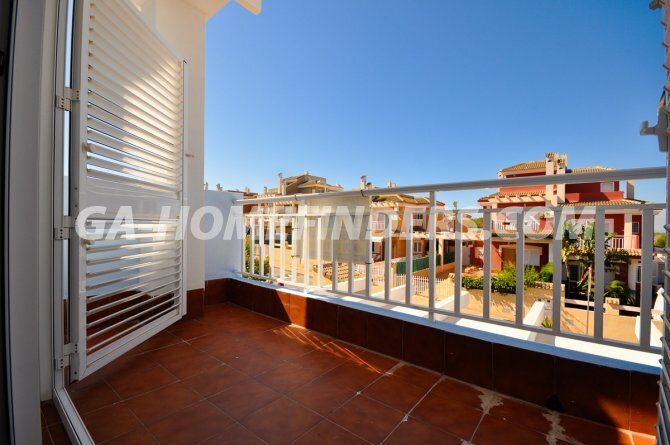 Built in wardrobes in every bedroom, shutters on all the windows, nice size garden, balcony, 2 Solarium's with nice views all around. 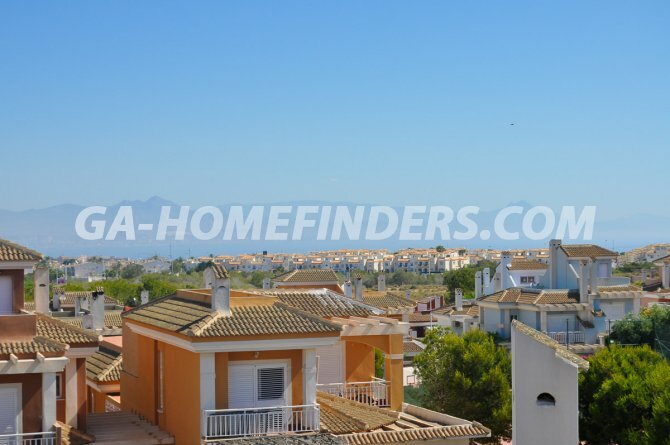 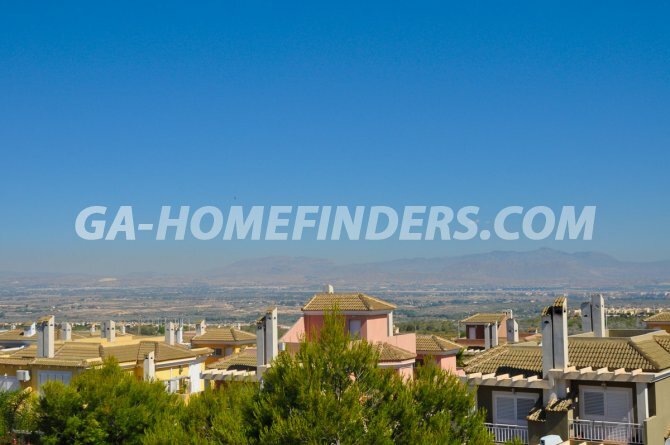 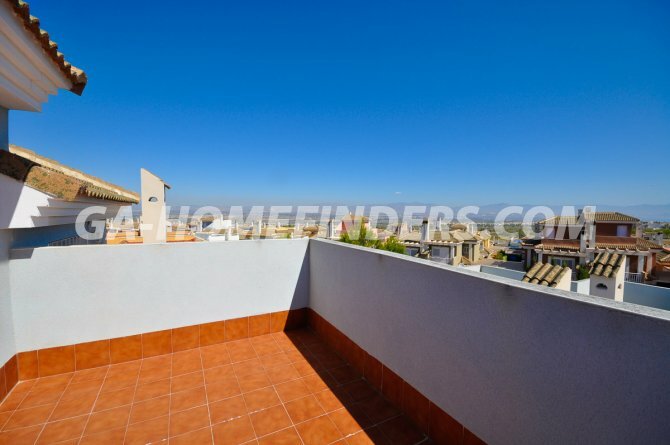 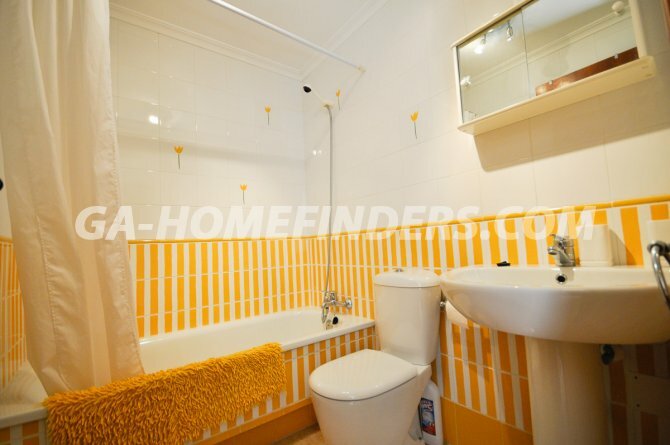 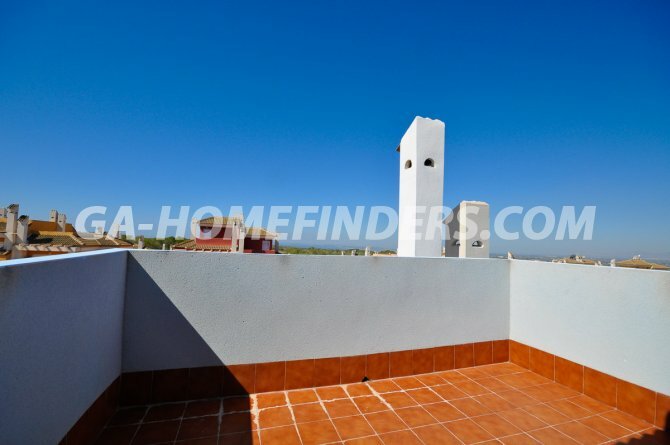 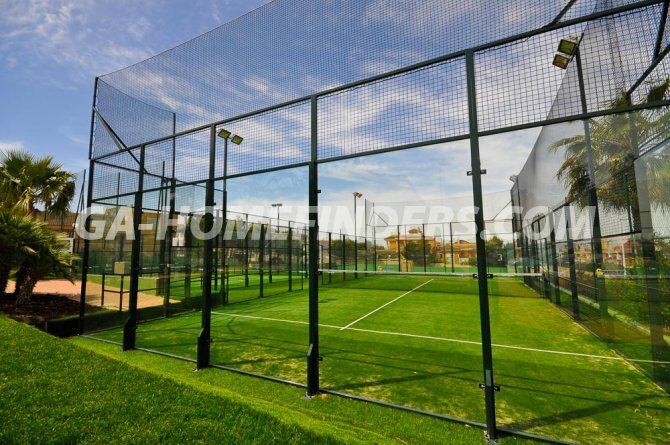 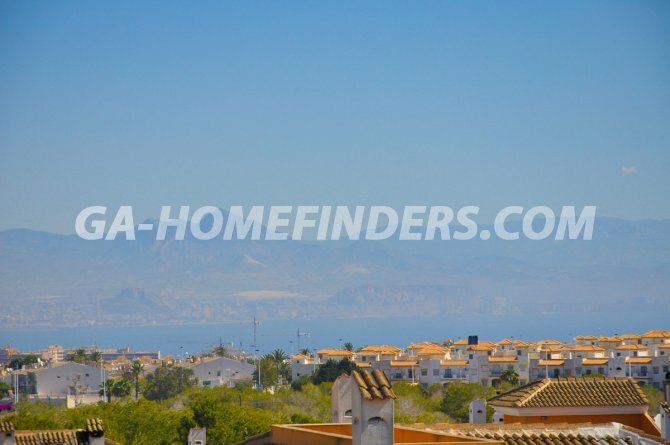 Near the communal swimming pool and basketball court and the 2 tennis courts, located in a very nice quiet well maintained and gated urbanization situated in the upper part of Gran Alacant near all amenities, shops restaurants, health centre, spa centre and local bus and train stop.